The quintessential dining table has evolved over the years to become a space that is used for more than just mere dining. The modern day households feature dining table that double as party spaces, homework tables and even work desks at times. This probably explains why every needs a dining table. However, space constraints can pose a hindrance to this idea with many owners forgoing the dining table altogether in favor of more space in the room. Well, here are some clever ideas that will help you enjoy a dedicated dining table in your home without necessarily cluttering the available space. Rectangular dining tables, although classic, can take up a lot of space in a room. A clever alternative to this is to opt for a round or oval shaped dining table instead. The soft corners of the table give more room for movement around the latter while offering more flexibility for seating options as well. 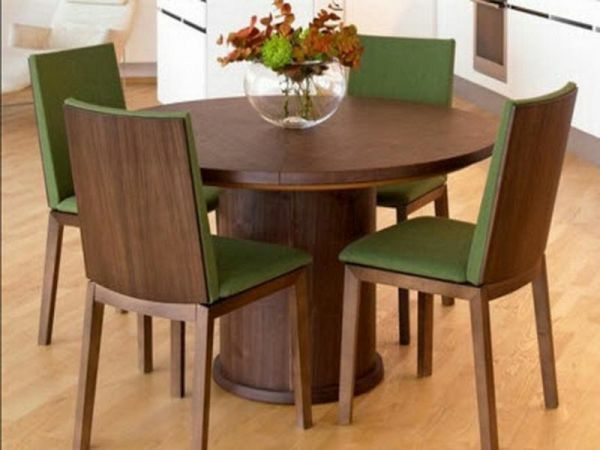 The good thing about a circular dining table in particular is that it can even be pushed into a corner of the room, thus giving plenty of room for free movement and other activities. This will be a great idea if you plan to place the dining table in the kitchen, with the latter also doubling as a prep space at times. One way to adjust with a rectangular dining table in a small space is to simply push it flush against the wall. The great advantage of this idea is that you will end up saving a lot of space while also getting a place to keep glasses and other breakable items without worrying about them falling off the table. Of course, placing the table against the wall also means you will be able to sit on only one side of the table for meals. This may not be a great idea if you have a large family or tend to host parties on a frequent basis. If you have limited options when it comes to the dining table, consider switching over to another idea to save space in the room. For instance, you can use foldable chairs that can be simply folded and put away when not in need. 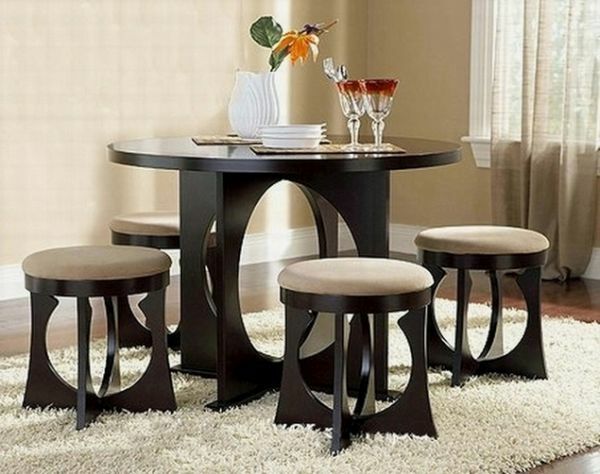 You can also opt for chairs that can be pushed all the way under the table after meals to save up space. 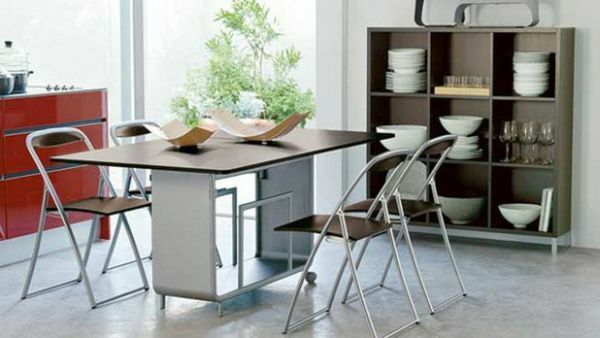 Better yet, you can opt for a folding table that can be folded up against the wall when not in use. 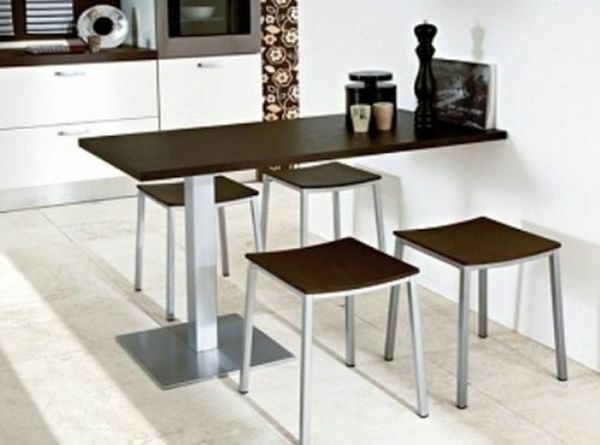 A lot of modernistic dining table designs come with this option, thus allowing you to use them even in cramped spaces. 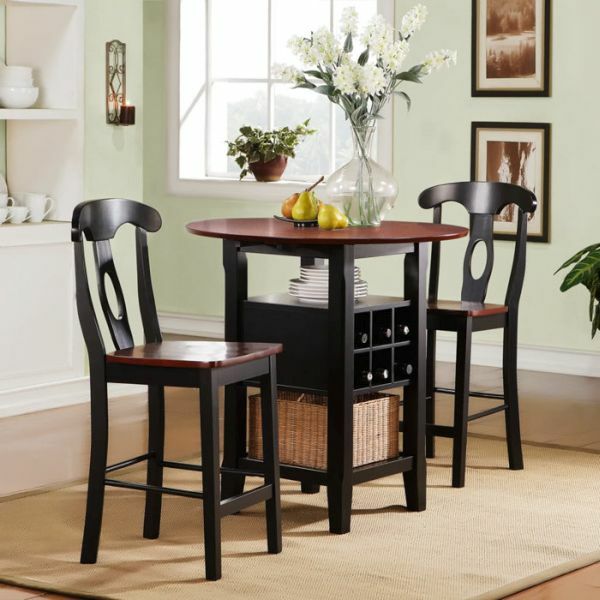 The drop leaf dining table is a great addition to a small space. Available in rectangular or circular shapes, the table comes with different partitions that can be either spread out to create a bigger dining space or folded over to save space. This way, you can use just the right amount of dining space on the table for small meals while extending the table to accommodate more guests during parties. The space under the staircase tends to remain neglected in most homes. You can beg to differ by utilizing this space to store a dining table with wheels. The table can be slid out from under the staircase during meal time and then can be tucked away in its hiding place afterwards. 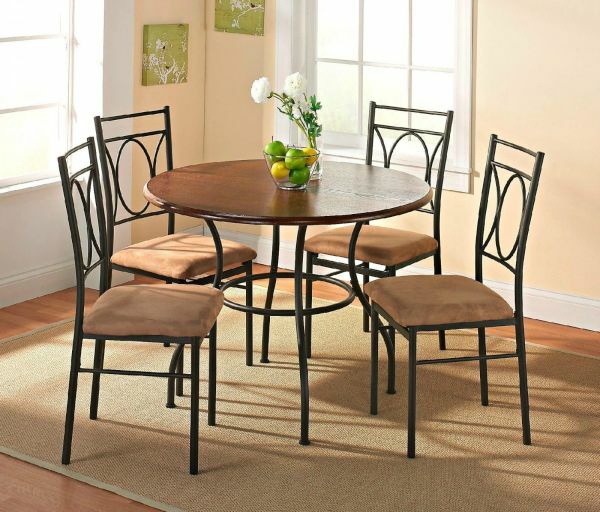 Your dining room does not need to forgo a dining table just because there is no space in it for one. There are several ways in which you can incorporate a table into the dining space without making the latter looking cluttered or cramped.